Another week another remake (There were in fact three 80s remakes this past weekend – About Last Night, Endless Love, and Robocop – if you’re keeping track). This new version will not likely win over many fans of the original Paul Verhoeven 1987 sci-fi hit; if any them even show up that is. RoboCop does everything it’s supposed to do: be a fun, sci-fi action movie. Nothing more, nothing less. If what it was supposed to do was please every fan of the original film, they would have just scraped the thing in the first place. Is there anything worse in the world to a Millennial or Generation X-er than a remake of a cult 80s film? 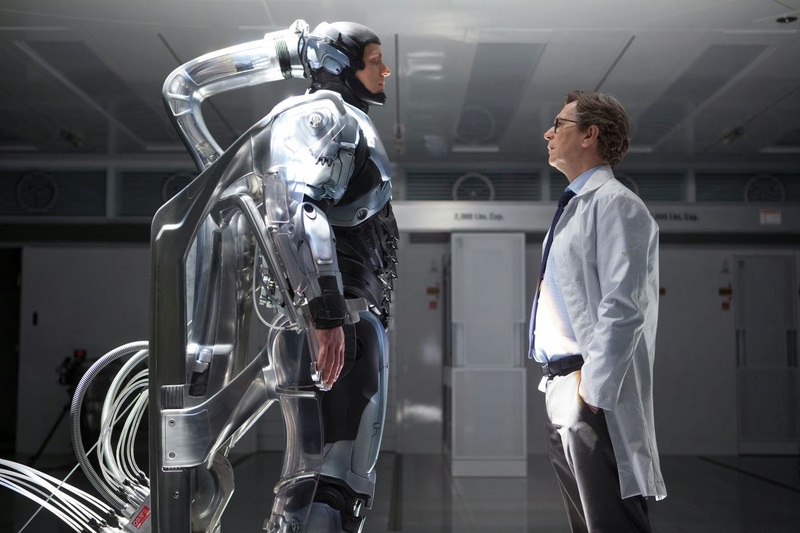 “RoboCop” attempts to have a little bit more depth and character than its 80s predecessor. In the year 2028 the corporation Omni Corp has begun producing weaponized robots sent overseas to replace human soldiers. The company’s CEO Raymond Sellars(played by Michael Keaton) wants to create a law enforcement human robot hybrid with scientist Dr. Norton (Gary Oldman). Apparently Detroit is a grimy, crime ridden city in the future. Who would of thought? Enter tragically half-blown up police officer Alex Murphy (Joel Kinnaman) who, with permission from his wife, they volunteer him to create a human-robot police officer cyborg. He has all his personality… until issues prevent him from having full use of his moral personality. Yeah it’s true, this thing takes a while to really get going. In fact, while I struggled to find much to like about the beginning of the film, it began to grow on me and it delivers a solid middle act, until Joshua Zetumer's screenplay becomes rather generic by the end. While the original film, a movie I’m not even the biggest fan of, feels more like an 80s superhero comic film with plenty of ultraviolence, this new version, directed by José Padilha, feels like a generic action film designed to wow you with plenty of CGI effects and endless bloodless shootouts. I recently rewatched the 1987 film and while it’s pretty severely dated it’s certainly a product of its time: the Regan era. While yes it was a sci-fi action spectacle it was sort of a biting satire that appealed to people on the left as well as people on the right. The new film makes the cardinal sin most remakes these days do wrong: taking itself way too seriously. Is it possible for a film to have too much story and character development? It’s possible if it’s not quite done well enough. The film gives more focus on Alex’s family life. Sure it makes us care about him more than we ever did in the original film, but Kinnaman, even if he’s decent in the role, feels too generic. Though Peter Weller as the original RoboCop definitely wasn’t winning any awards either. And for the record, where is the tough female cop character played previously by Nancy Allen?